This is the largest of the three Léovilles and over the past thirty years widely regarded as the best. 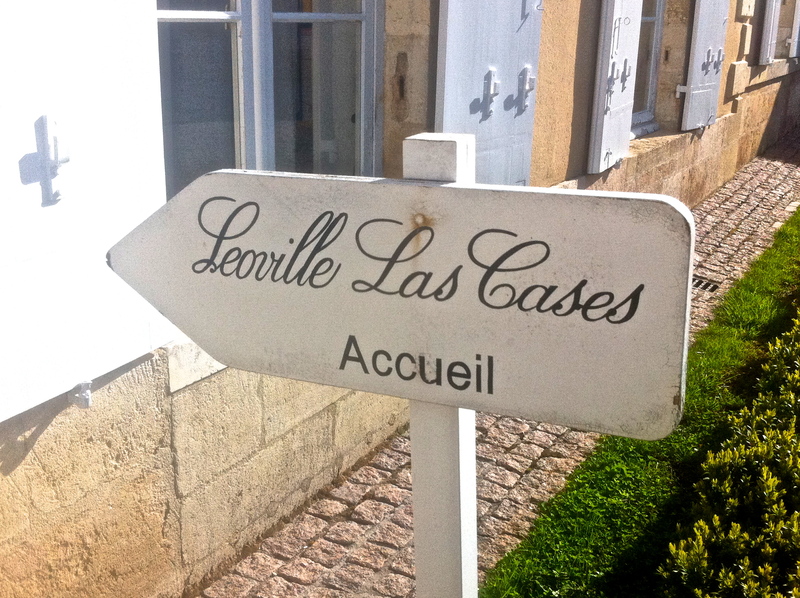 A second growth in 1855 but now seen as a first growth in all but name Château Léoville-Las-Cases has been run by the Delon family for several generations and they have done a marvelous job in the vineyard and with the winemaking. If Montrose is the Latour of St Estèphe, then Las Cases is its equivalent in St Julien and not so surprising given that its vineyards neighbour Pauillac and Latour next door. Clos du Marquis is terrific and one of the best and most reliable wines in the Médoc. It is not the second wine [that is Le Petit Lion] but comes from a series of separate St Julien vineyards entirely. Vineyard/Terroir: 97 hectares planted with 65% Cabernet Sauvignon, 19% Merlot, 13% Cabernet Franc and 3% Petit Verdot. Average age 30 years, 8000 vines per hectare and yields of 42-50 hectolitres per hectare. Winemaking/Elévage: Temperature controlled fermentation followed by twelve to twenty-four months ageing in 50-100% new oak depending on the vintage. 2012 Deep and saturated looking; vibrant edge; very deep nose; enticing, focused and precise; layers; excellent depth of fruit on the nose. The palate is full of fruit, material and ripe tannin; there is a lot of stuff here but it is very focused indeed. There is a roundness and ripe quality which gives a balanced and harmonious feel to the palate. Excellent length and very nicely done. 74% Cabernet Sauvignon, 15% Merlot, 11% Cabernet Franc 80% new oak, 13.47 alc IPT 70 pH 3.6. 94-96+ Tasted at the Chateau Friday, April 12, 2013. 2010 Very deep looking; cassis, blackcurrants; sturdy and intense; little reduced and on further aeration the scale of the wine is revealed; scale and strength and depth to the aromatics; powerful stuff; stalky blackcurrants on the palate; strong and stalky; powerful if a little unyielding at present. Traditionally styled and powerful. Drink 2020-2045. 96+ MW Institute Nov ’14 [Earlier note] Deep and saturated in colour; blackcurrant, cassis and graphite; quite bold and muscular; very, very deep and brooding; real depth; thick and dense palate with lots of extract and material; tannins very ripe, considerable and chewy and nicely done. Lots of depth and chew here. Very big and broad. Dense wine with excellent length. 95-97/100 [82% Cabernet Sauvignon, 10% Merlot, 8% Cabernet Franc 13.7 alc, IPT 74] Tasted 7April 2011 at the Chateau. 2009 Deep; cassis and blackcurrants, some wine gums and tar and asphalt; palate full and saturated with wonderful tannin ripeness; blackcurrant tones dominate with real sap and freshness too. Very, very good. Drier finish than Leoville-Poyferre and even Leoville-Barton [in terms of the battle of the Leovilles!]. Seemingly more structured and tannic. Very long term here. 2020-2045. 98+ MW Institute tasting Nov ’13. 2012 Deep and saturated; minerality; blackcurrants; cassis and some blackcurrant lift; purity here; life and spice too; nice entry; cassis; blackcurrant; nice balance this is attractive and quite supple and round. 48% Cabernet Sauvignon, 44% Merlot, 8% Cabernet Franc 13.53 % alc 20% new barrels yield 33hl/ha IPT68. pH 3.59 89-91+ Tasted at the Chateau Friday, April 12, 2013. 2010 Deep and dense; some cassis, some mineral, graphite; palate sweet entry, quite thick but well handled; chewy and dense; good length. Quite attractive 88-90/100 [52% Cabernet Sauvignon, 38% Merlot, 5% Cabernet Franc, 5% Petit Verdot 13.7 alc, IPT 63] Tasted 7 April 2011 at Chateau Léoville Las Cases.